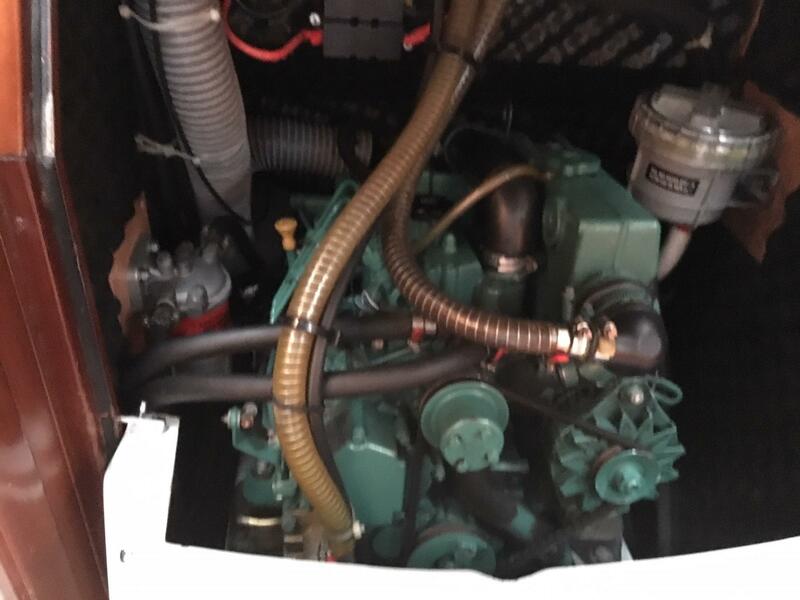 Length at Waterline: 31' 0"
Volvo MD2030 29hp inboard diesel with shaft drive. 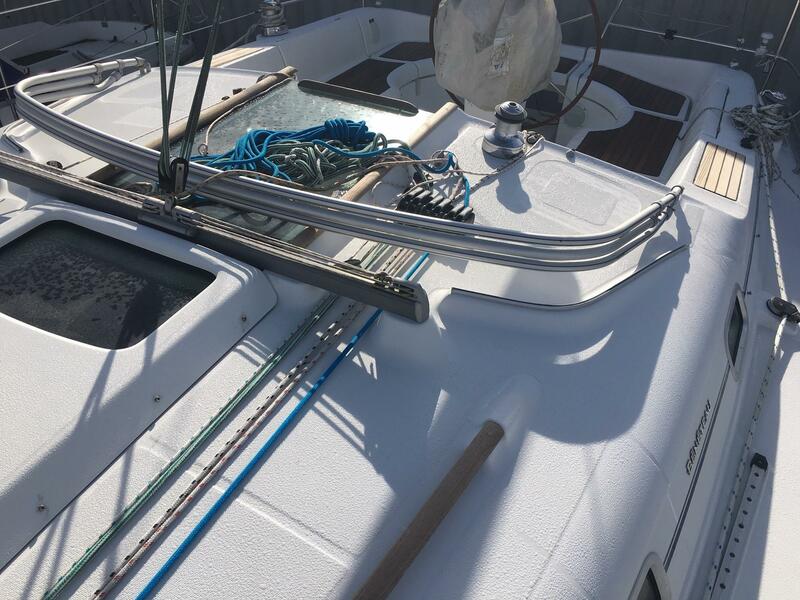 3 bladed propeller with rope cutter. 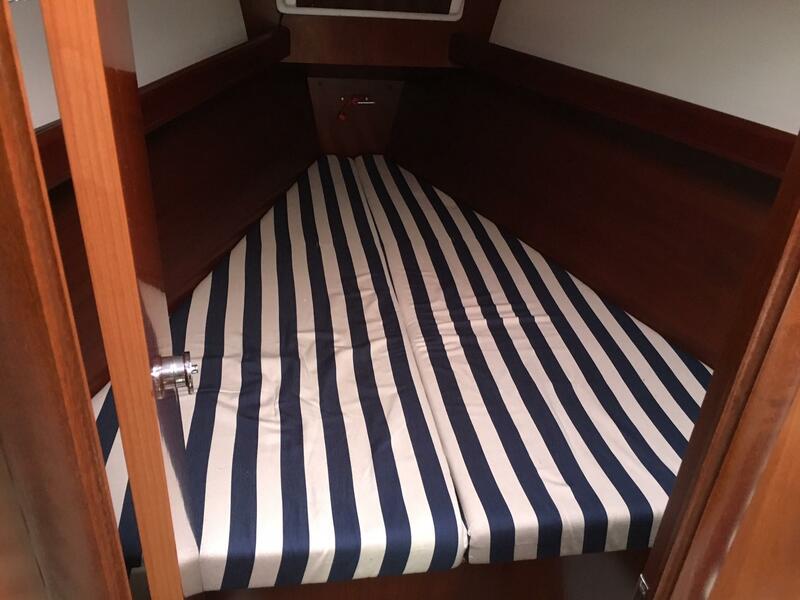 The private forecabin provides a double berth with hanging locker storage. 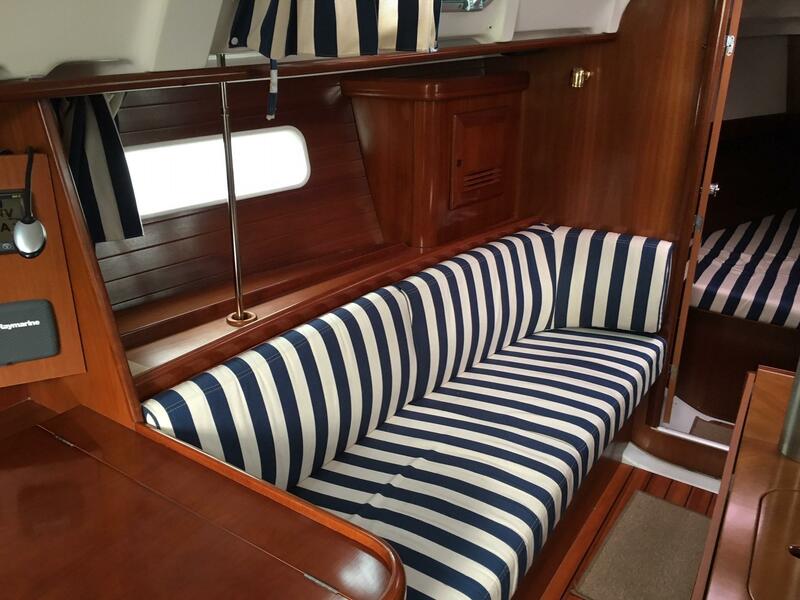 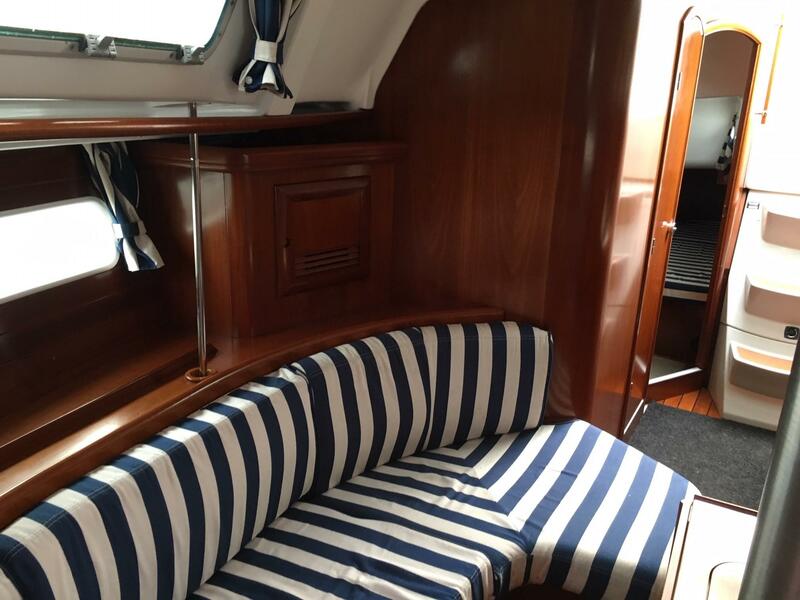 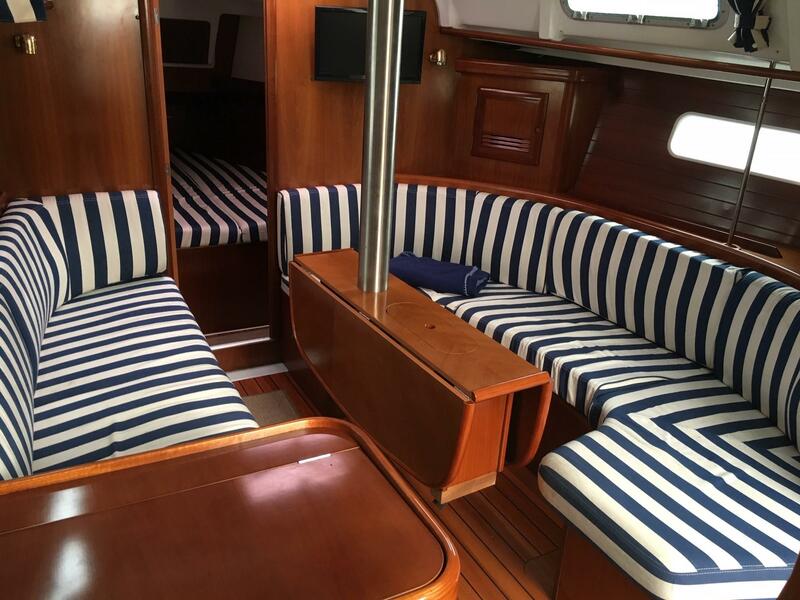 The saloon has two single berths (converts to a double) either side and a drop leaf dining table. 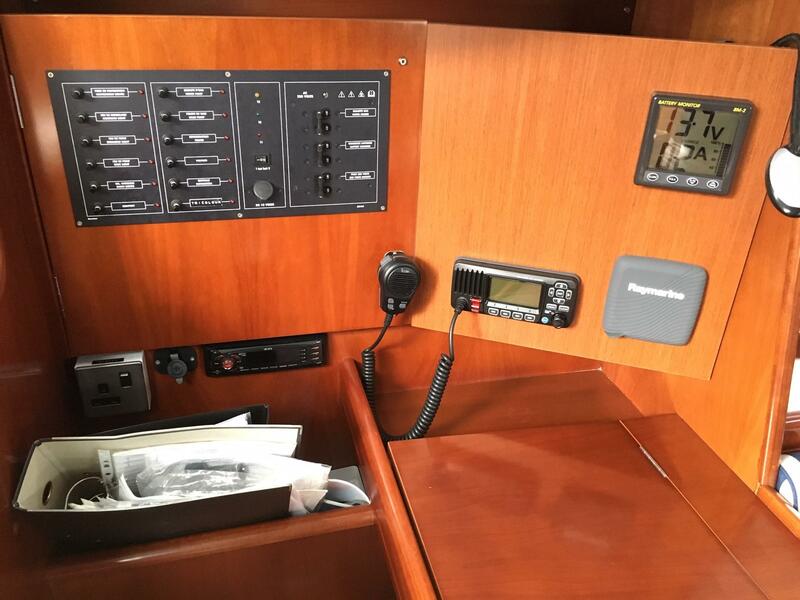 The navigation station with forward facing chart table in to port aft of the saloon seating, it is equipped with the GPS, VHF and the electrical switch panel. 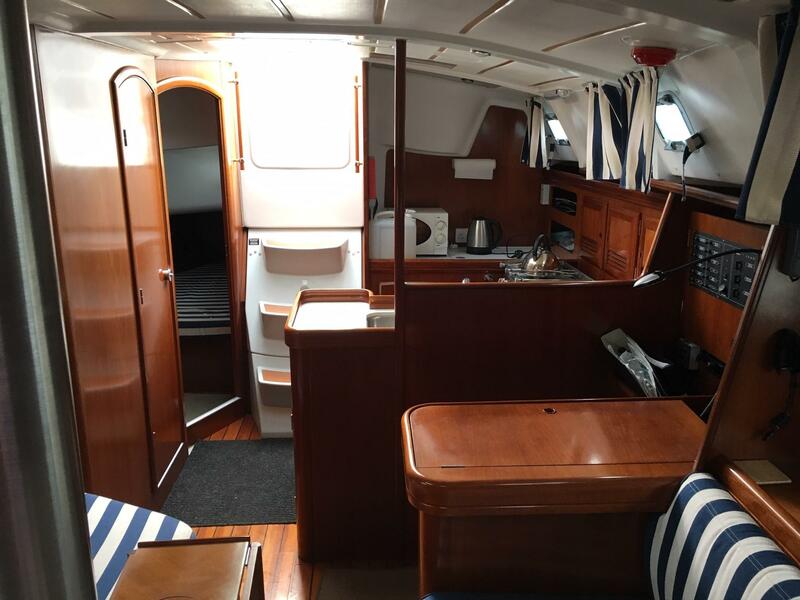 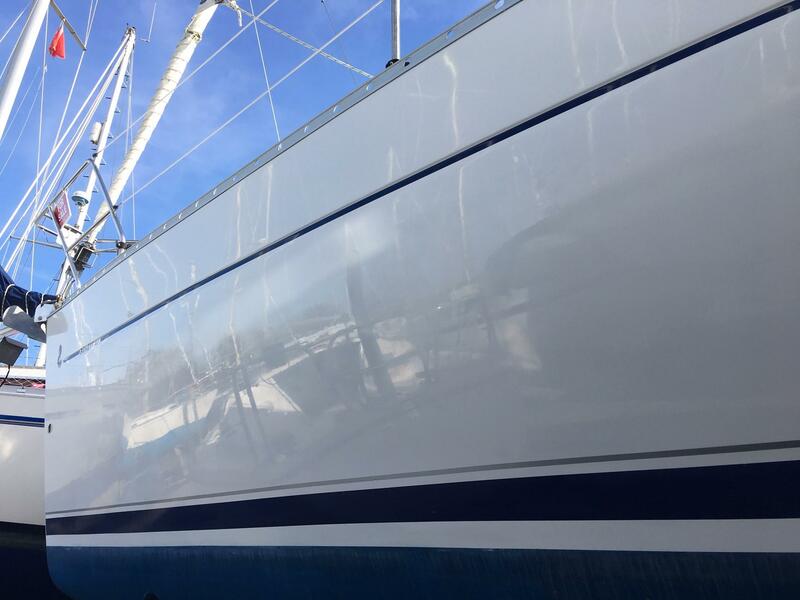 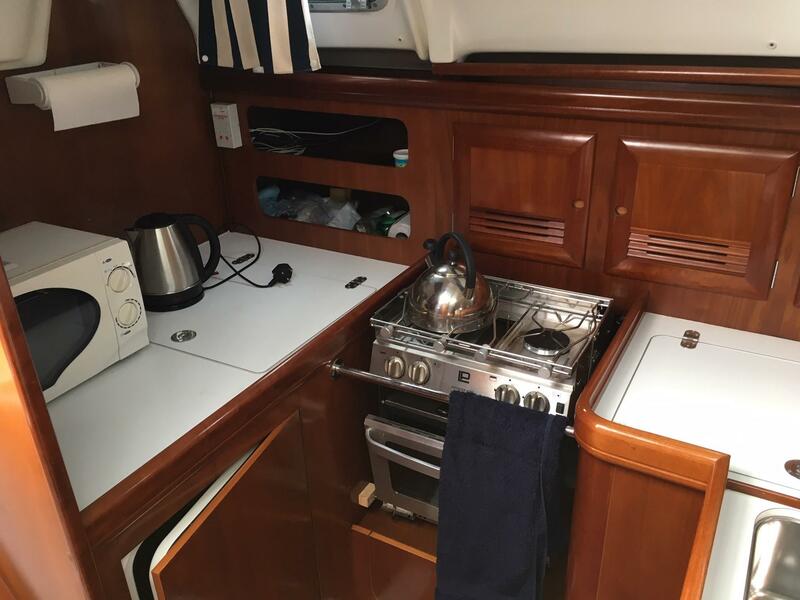 The galley is aft and to port and is very well equipped with:- a stainless steel twin bowl sink with hot/ cold pressurised fresh water supply, a large front opening fridge, a twin burner gas stove with oven, a microwave oven, plenty of locker storage and worktops. 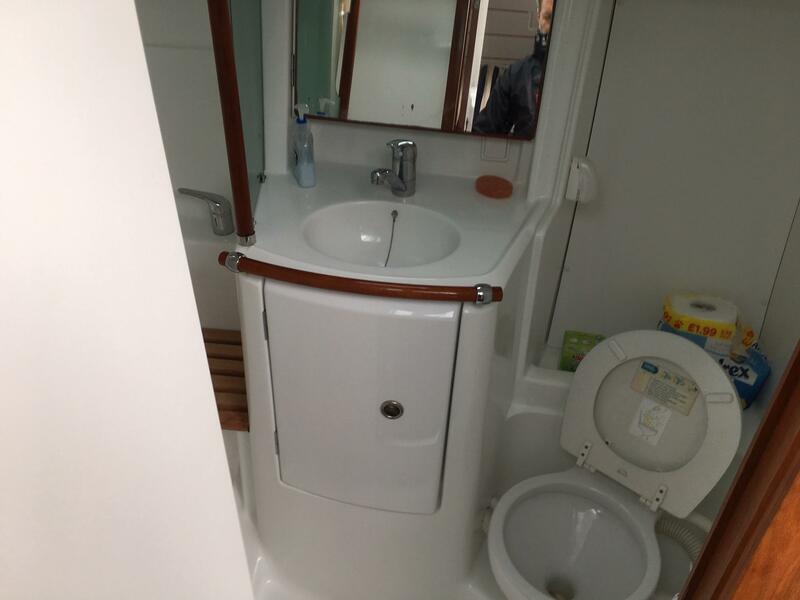 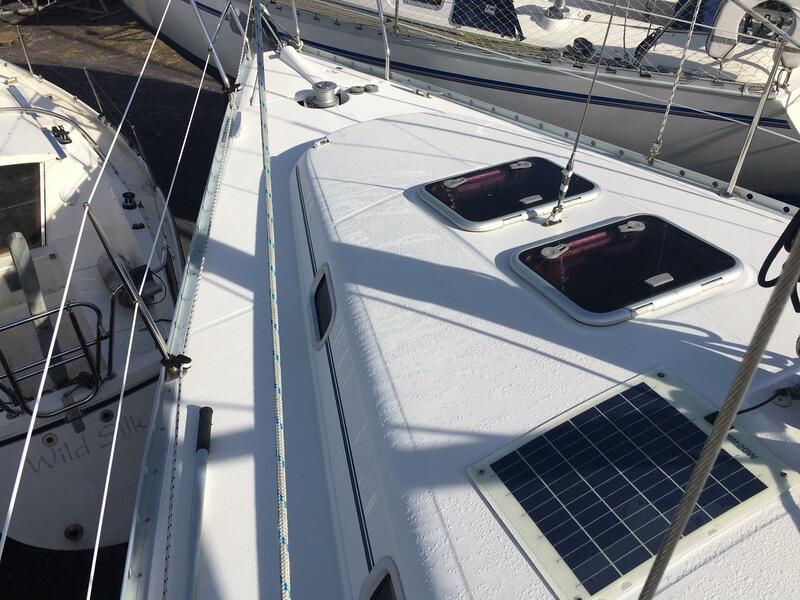 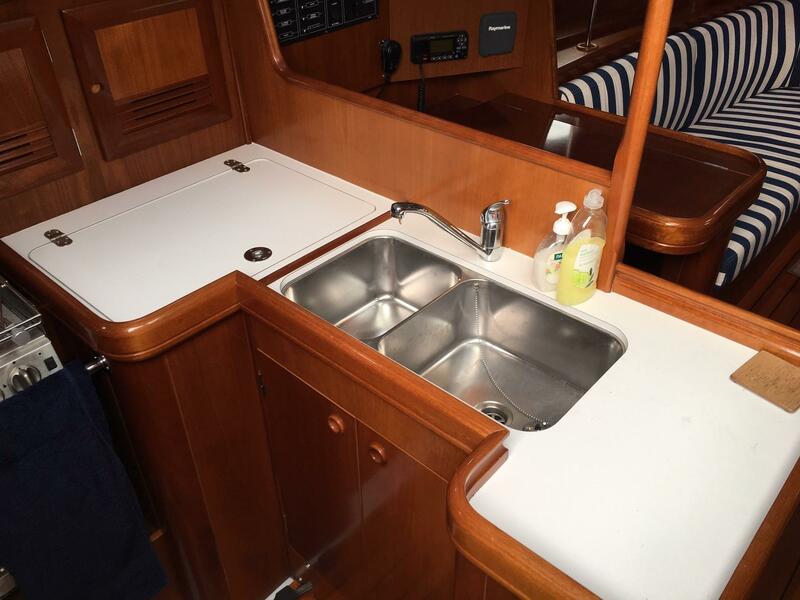 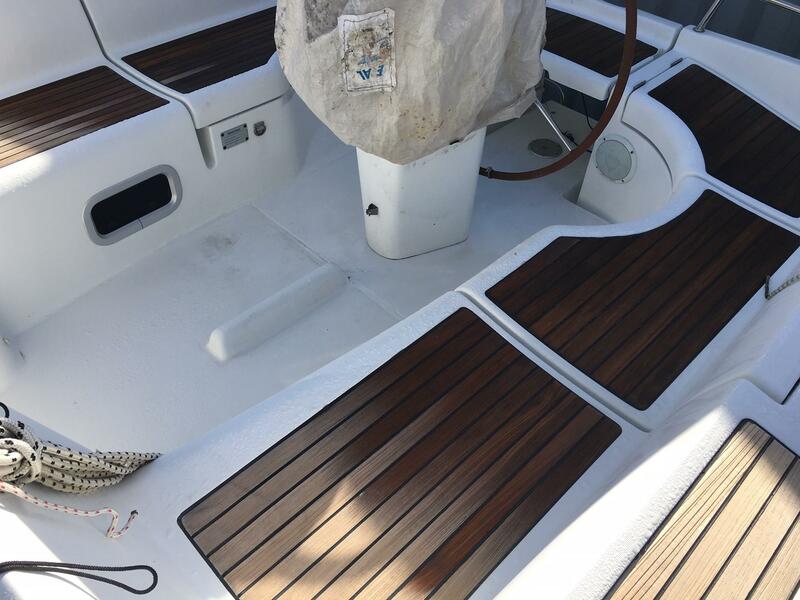 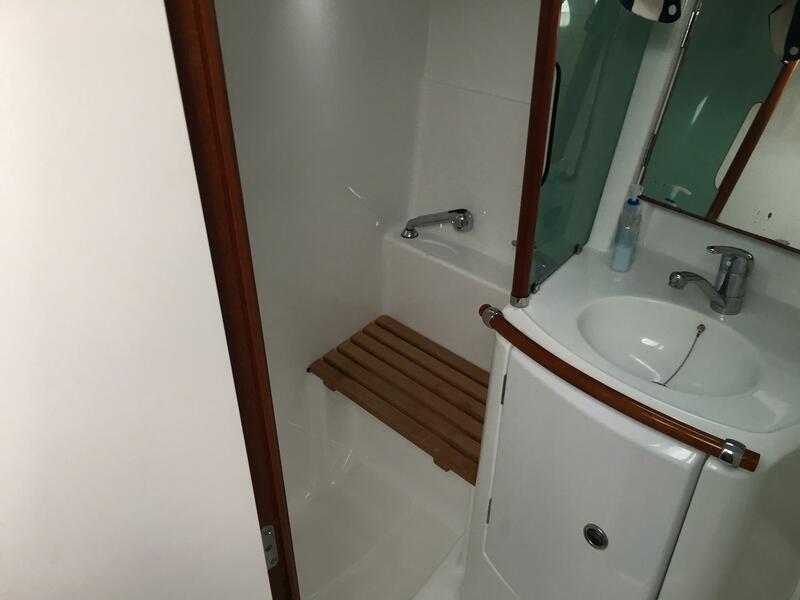 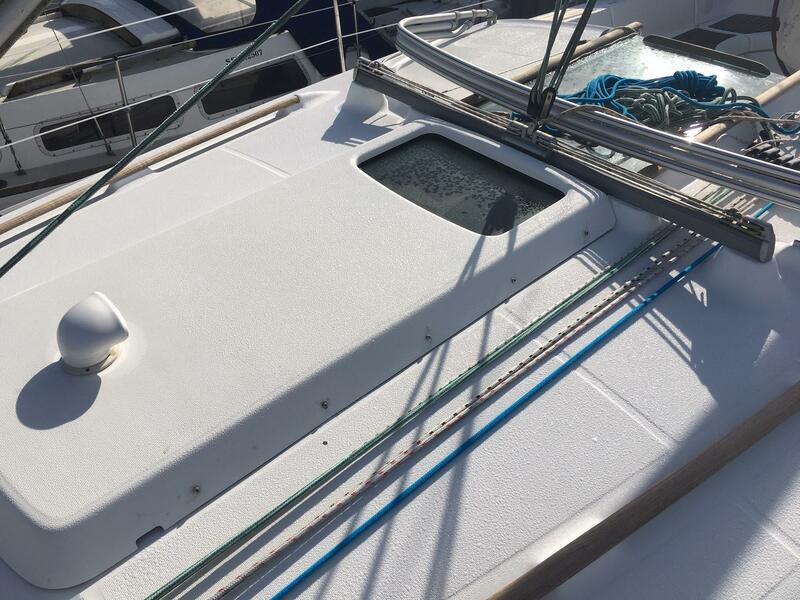 Opposite the chart table is the large private head compartment which has a marine WC, hand basin with hot/ cold pressurised water supply and a separate sit down shower area with electric bilge drain. 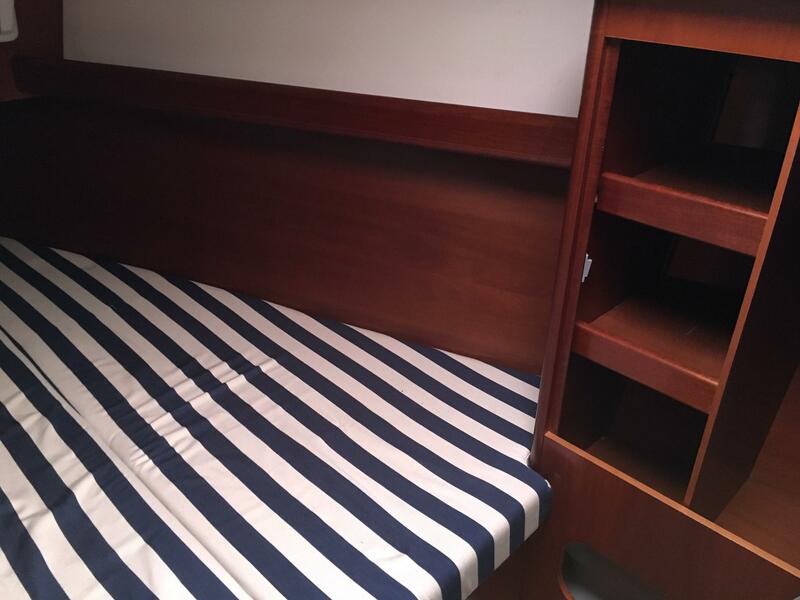 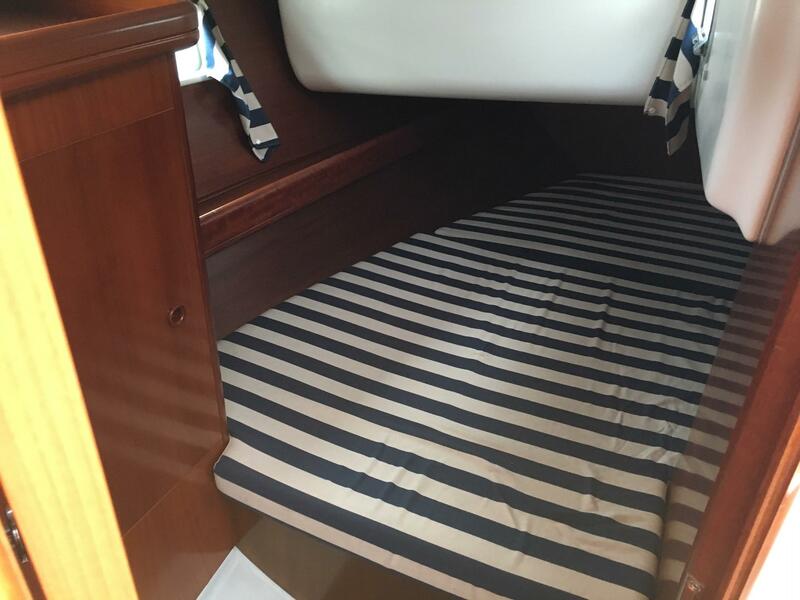 The large private aft cabin provides a comfortable double berth with hanging locker storage. 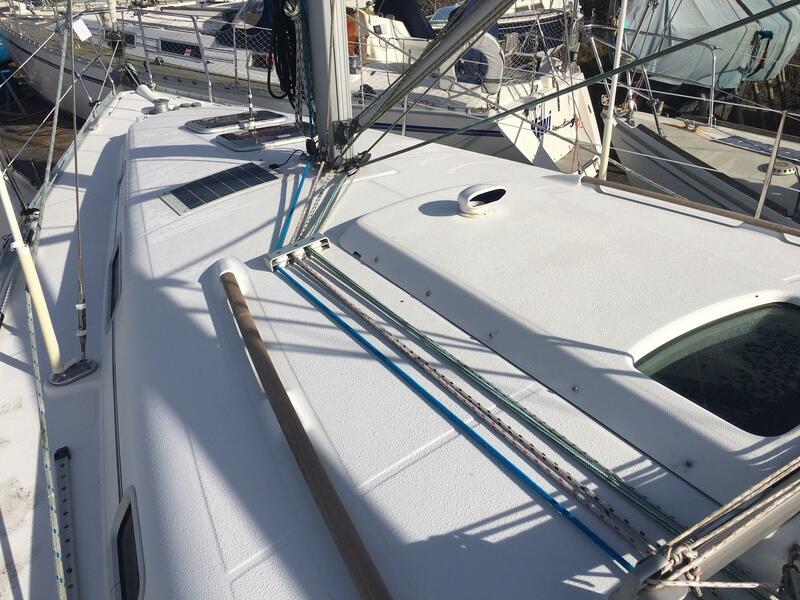 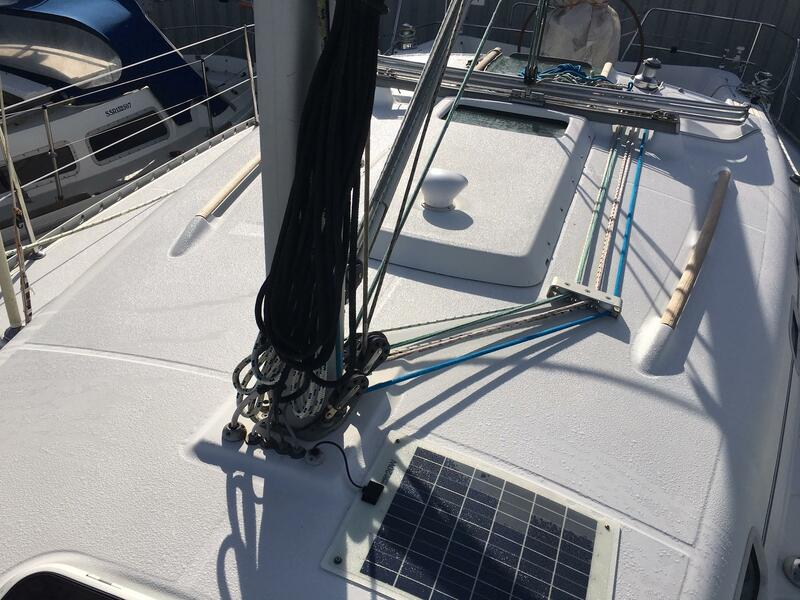 Aluminium mast by z spars with solid kicker. 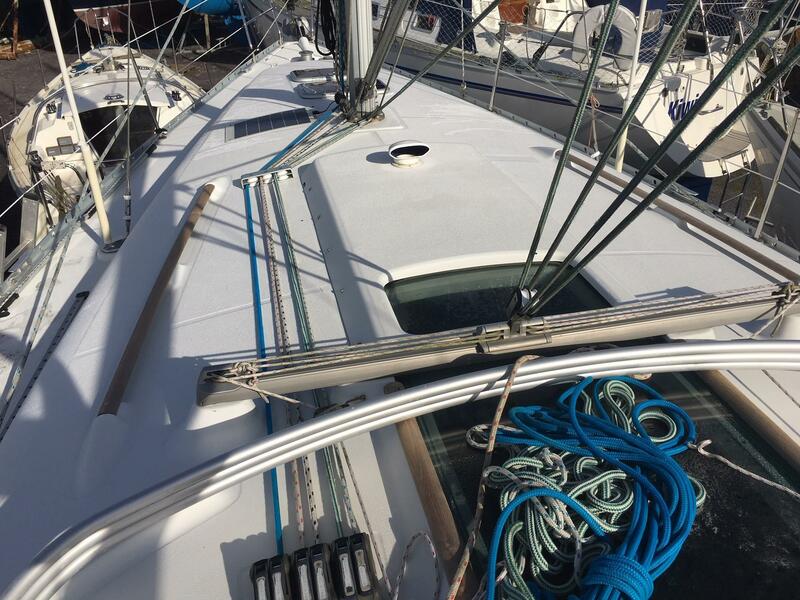 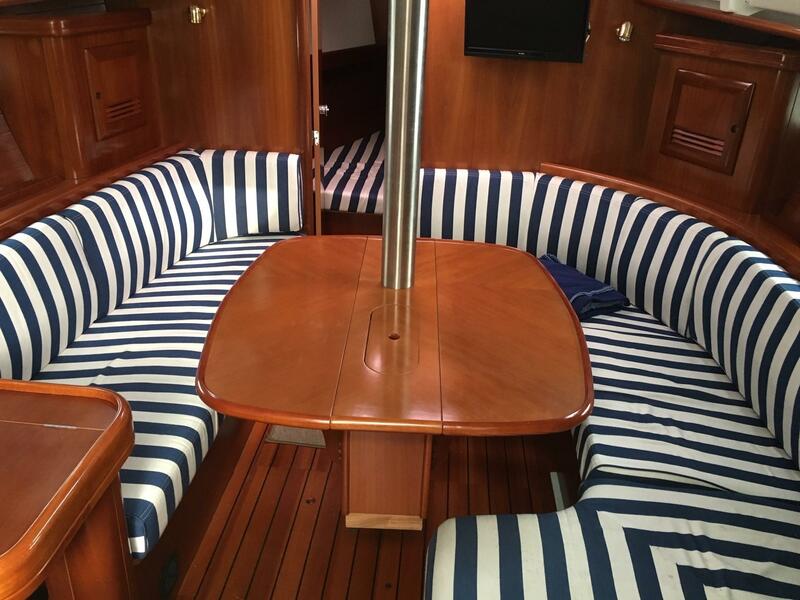 There are two Lewmar '44' self tailing genoa sheet winches and one Lewmar '30' self tailing halyard winch. 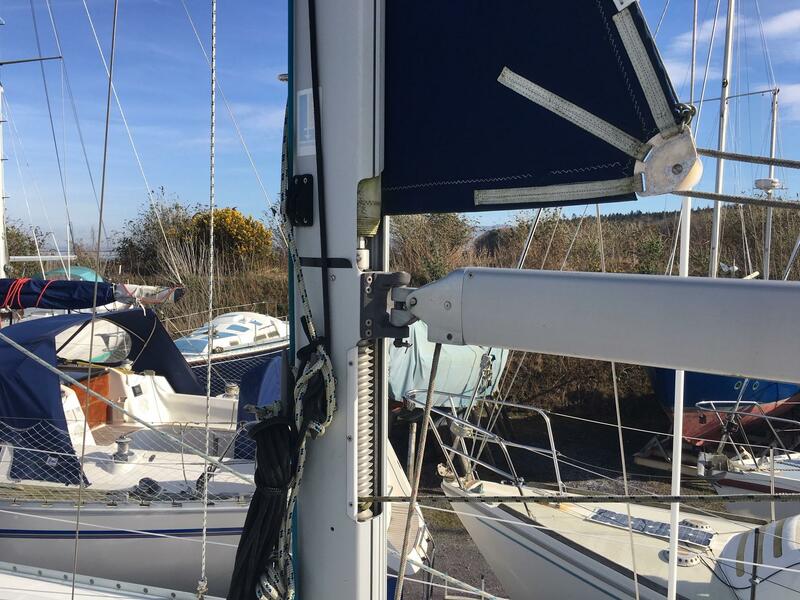 Anchor with chain and warp. 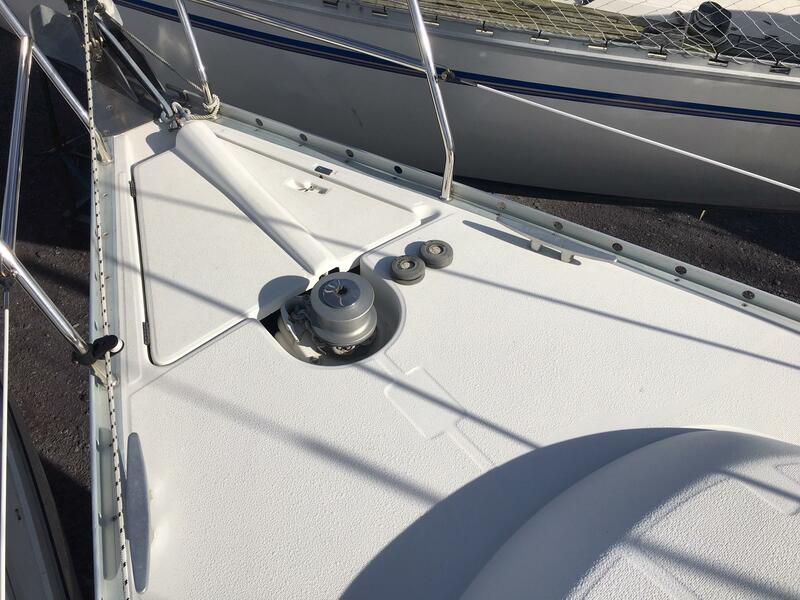 Two forward and two aft moooring cleats. 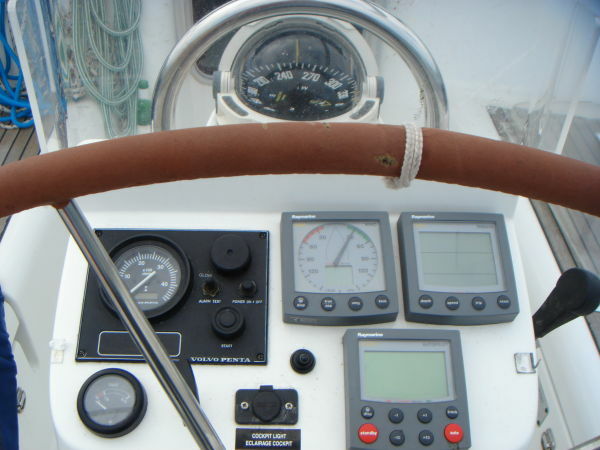 navigation lights (masthead tricolour and deck level). 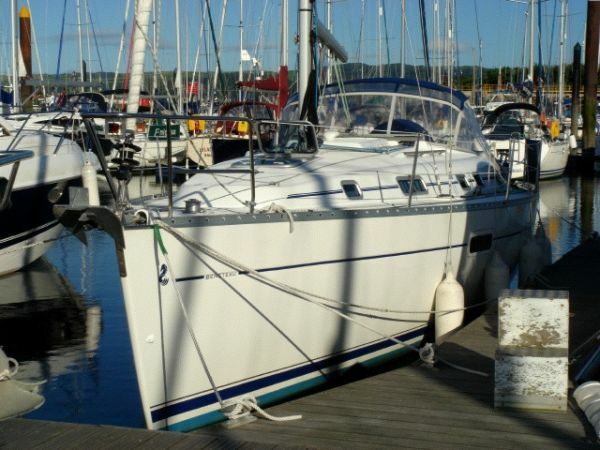 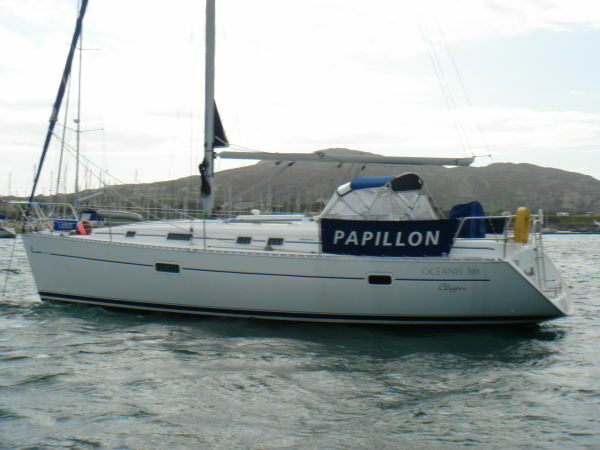 Built by Beneteau in 2003 to a berret/Racoupeau design. 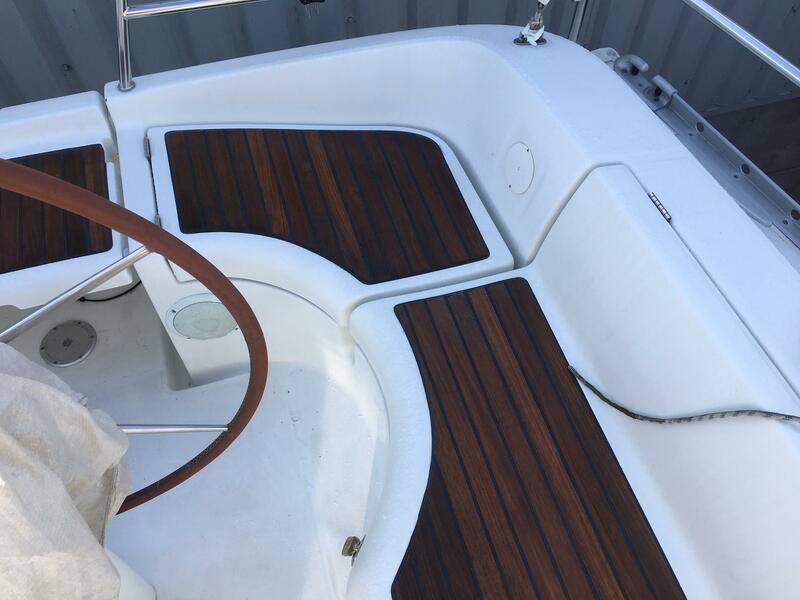 White hull deck and superstructure. 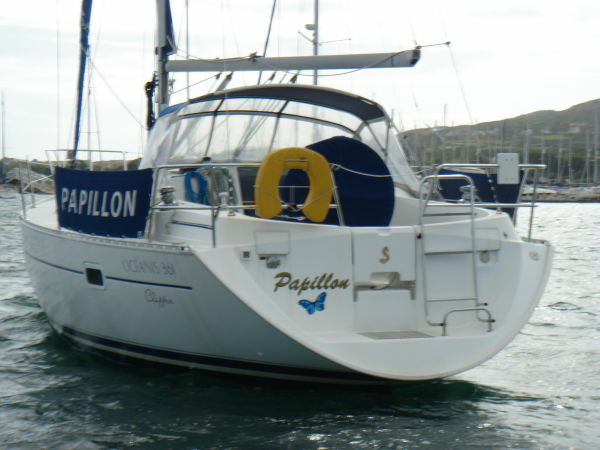 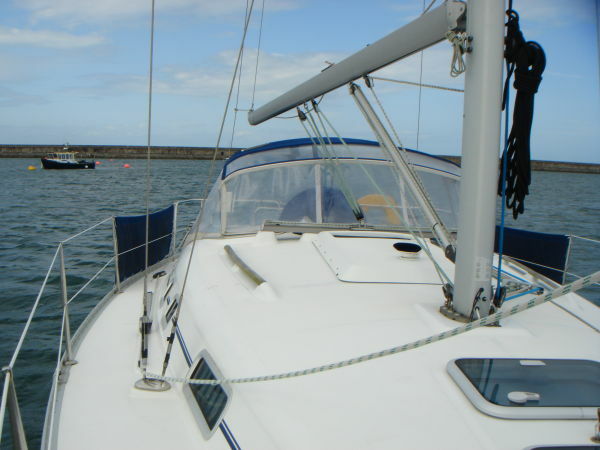 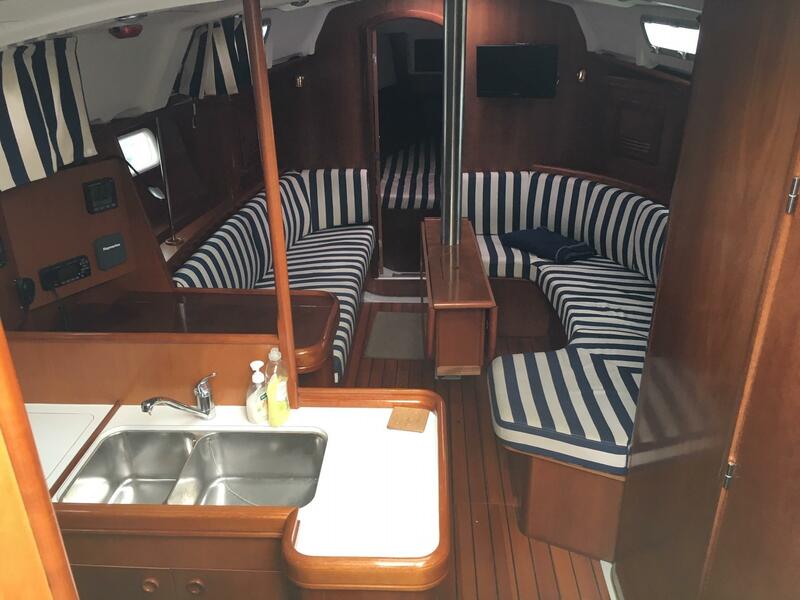 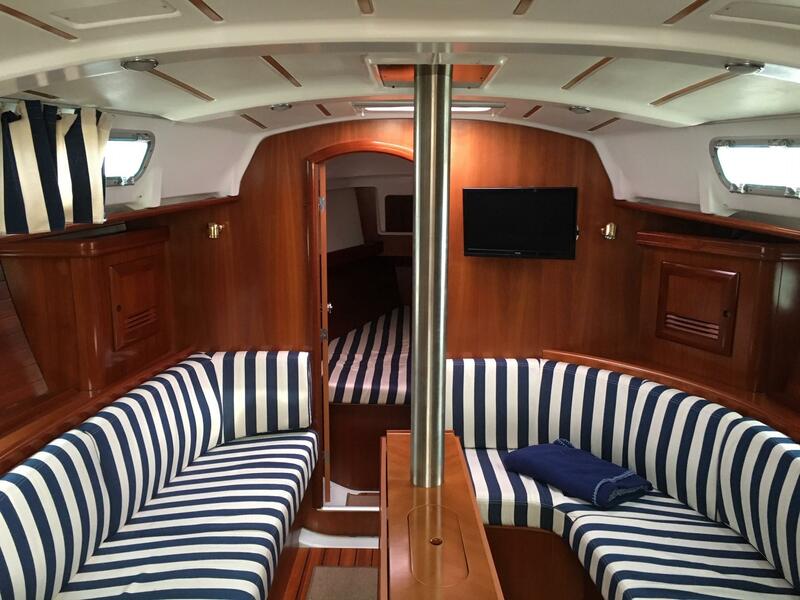 This boat has an excellent accomadation layout for cruising in comfort coupled with the easy handled rig makes this a very sought after boat. 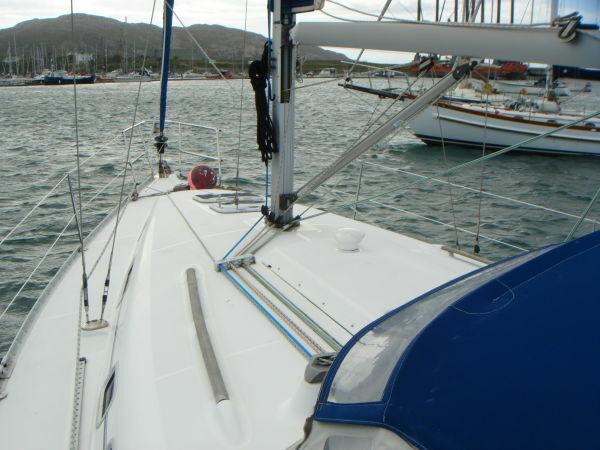 Viewing is highly recomended.